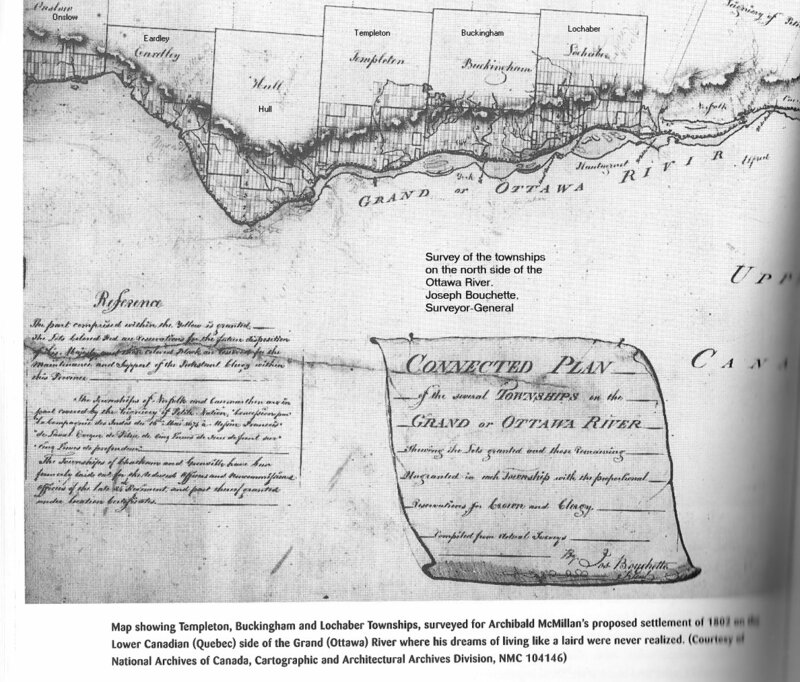 Source: History and Genealogy in the area of Ottawa, Canada: Philomen Wright. Google has digitized some of the original works of Joseph Bouchette. 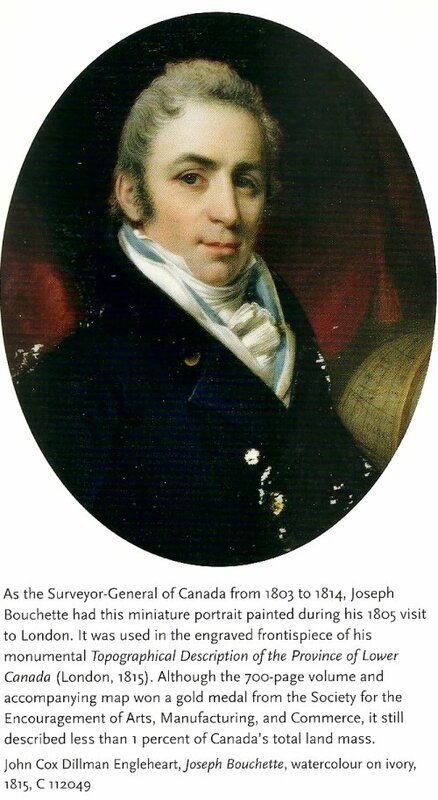 In 1815, Joseph Bouchette wrote A Topographical Description of Lower Canada. Read it online, here. In 1831 he published the British Dominions in North America. Read it online, here.